Dynamic Therapy Services was founded in early 2003 with an eye on becoming a primary national contractor of Physical Therapy, Occupational Therapy and Speech Therapy to home health nursing companies, hospitals, and other organizations throughout Texas. From the very beginning we envisioned a company that delivers a superior service to our patients, fiscal success to our clients and an ideal work environment for our therapists. We've delivered through an uncompromising focus on quality, consistency and plain ole good heartedness. Pleased with recent success stories, but never content with the present... DTS has a future rooted deeply in a powerful technology platform and a continued emphasis on opening up new and improved communication channels for our clients and patients. The "Digital Era" is upon us and technology is quickly becoming a core competency of Dynamic Therapy Services. Old industry norms and assumptions are gone - replaced by innovation and creativity. The home therapy industry is changing and DTS is driving the direction. Below you can read about some of the people involved in making the difference in home health and leading the wave of the future of therapy services for DTS. Rodney spent 5 years in the US Navy and then went to college for PT. After graduating from PT school, Rodney worked in a rehab facility for 4 years and 3 of those years he was the supervisor of the PT department. 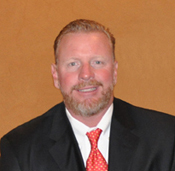 In 2003 he opened the doors of Dynamic Therapy Services in Midland Texas and is the current President and CEO.